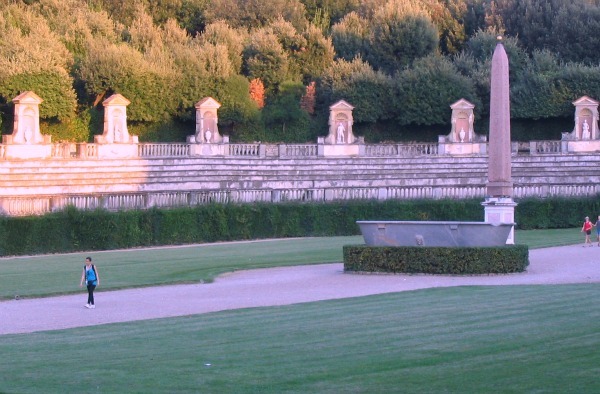 The Boboli Gardens are a superb example of a classic Italian garden: a green park with symmetrically trimmed hedges, meadows, gravel paths, fountains, ponds, and statues. Boboli is basically the back yard of Pitti Palace and used to be the Grand Dukes’ private outdoor 'playground' before it became a park open to the city. Tip! 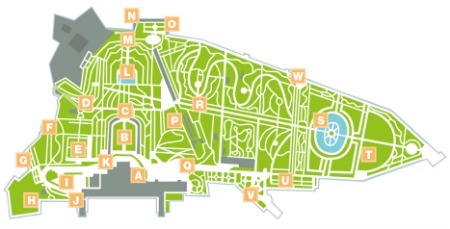 Download your free map of the gardens right now along with a do-it-yourself walking tour. Just click on the link below and print out immediately. 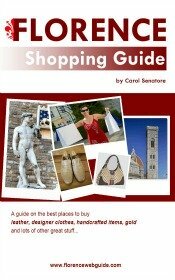 This FlorenceWebGuide map and DIY tour will help you appreciate the beauty and richness of the lush park and outdoor museum that is Boboli. The tour tells you all the history of the artwork and architecture of the park and will enrich your visit immensely. If you’re thinking of some of the palaces and castles in Europe whose gardens are full of flower beds and lush floral arrangements with loads of colors all year round, this is not Boboli. If that’s what you’re looking for, you’ll surely be disappointed. Boboli Gardens are more like a mysterious labyrinth of hedges and cypress trees winding through hilly terrain. 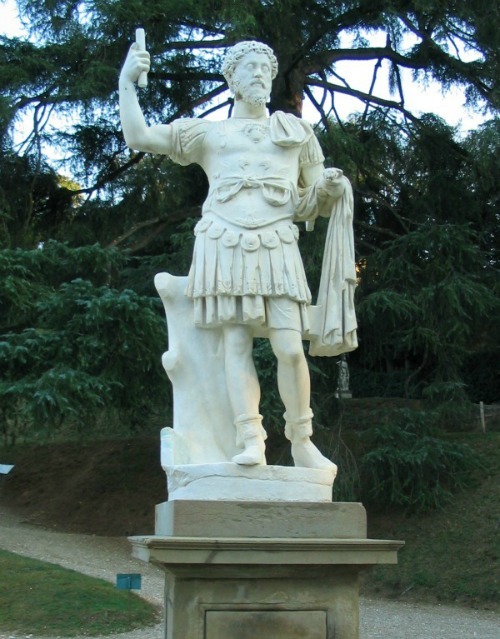 The park is also an open air museum with sculptures and monuments dating back to Roman antiquity as well as 16th and 17th century statues. The garden's great for fantastic views over Florence - at some points you feel like you're almost floating right above the Duomo (see pic below). The reason the views are so outstanding is because the garden is quite hilly and keeps rising. You should know this too because if you have any mobility issues, it could be a problem. 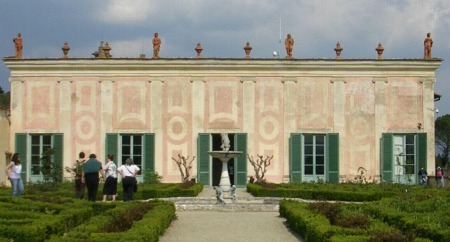 Another of Boboli's most popular spots is its charming 18th century coffeehouse (below) in rococo style with terrace. 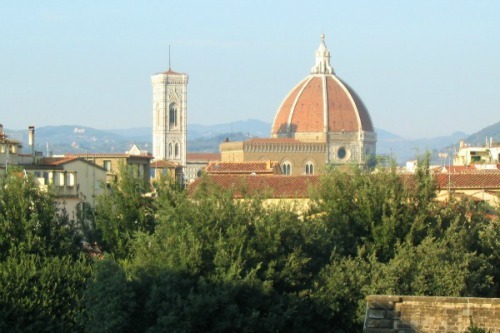 This is where you get some of the best views over Florence and its monuments. Unfortunately it’s not always open so while you can still stand on the terrace and enjoy the fabulous scenery you can’t always get a steamy cappuccino. I do have to tell you that it’s not uncommon to find some areas at the gardens roped off or with scaffolding up for repairs. This might give some parts of Boboli a neglected air and some people feel that it detracts from the big picture. Unfortunately, the gardens cover such a large area that it’s almost impossible for every part to always be found in tip-top shape. Still, the views from Boboli are worth the visit and most of the park is lovely, peaceful, and a welcome retreat from busy Florence. 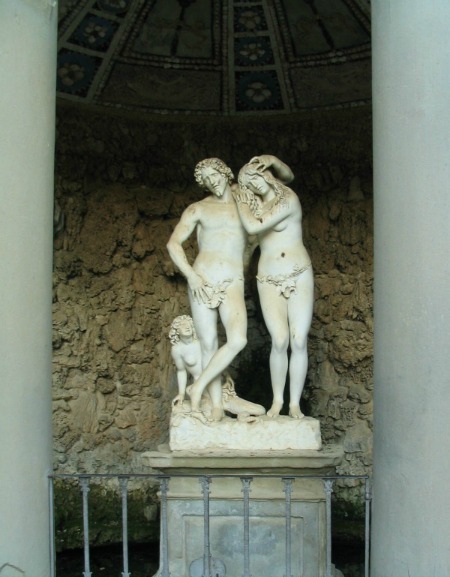 Within Boboli Gardens is another mini-Italian garden called the Giardino del Cavaliere which also houses the Pitti Palace Porcelain Museum. You get there by going up a double spiral staircase to a small picturesque balcony which is the entrance to the garden. This garden has low-trimmed hedges arranged in geometric patterns with rose and dahlia bushes within the shapes which bloom in Spring. This is also the highest point at the park and gives you wonderful views over the Florence countryside, olive trees and villas. 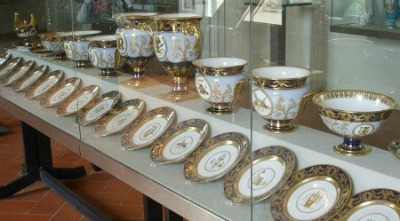 The Porcelain Museum houses the collections of fine china and porcelain pieces which once belonged to the Grand Dukes of Florence. Most of the pieces are from the 17th century onwards and were made by some of the most renowned and prestigious European manufacturers. There are objects by the French Sevrès, the German Miessen, and the Italian Doccia among others. A small museum, the whole display is found in 3 large rooms. Room 1 is dedicated to Italian and French porcelain, Room 2 to Viennese, and Room 3 to German pieces. Hand painted and beautifully crafted tableware services including dishes, demitasse sets, cups and saucers, teapots and pitchers are on display. 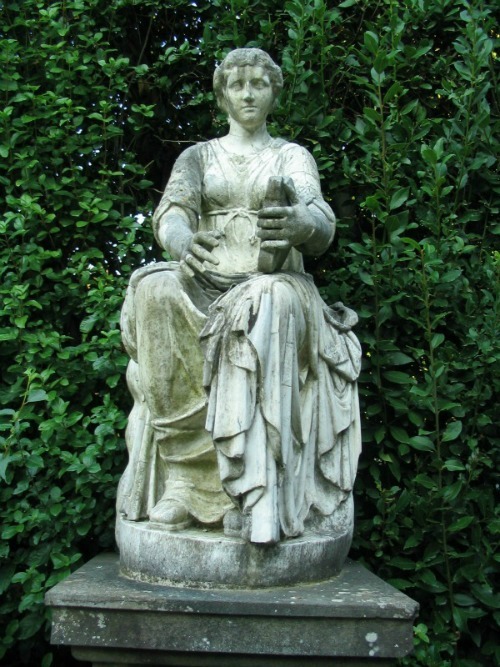 There are also statuettes, lamps, and busts in rococo (early 1600's) and neo-classical (1700's-1800's) style. 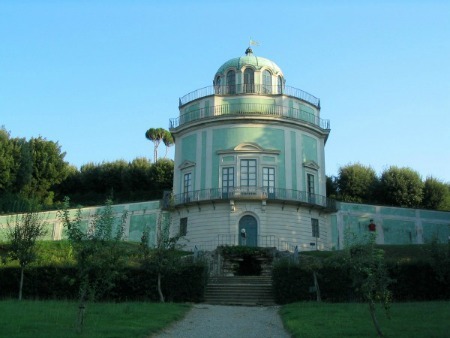 A ticket to the Boboli gardens includes a visit to the Porcelain Museum so if you’re visiting the garden this museum is certainly worth stopping into. You can see the whole exhibit, with a leisurely walk-through, in about 20 minutes. 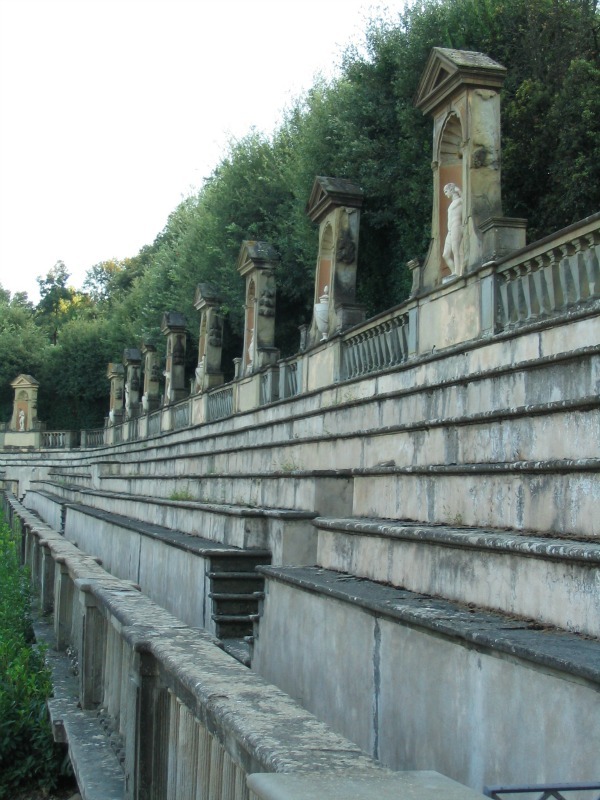 The Boboli Gardens are part of the large and very rich Pitti Palace museum complex found in piazza Pitti. 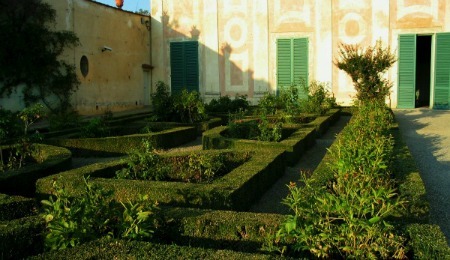 Tickets include entry to the garden as well as some museums and the nearby Bardini gardens too. For detailed information about opening hours and costs see Pitti Palace page.